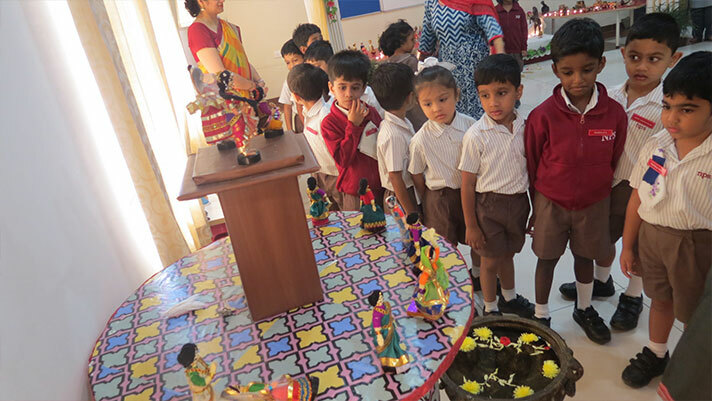 Keeping the festive spirit alive, a traditional exhibit of various dolls and figurines marked the celebration of Dussehra. 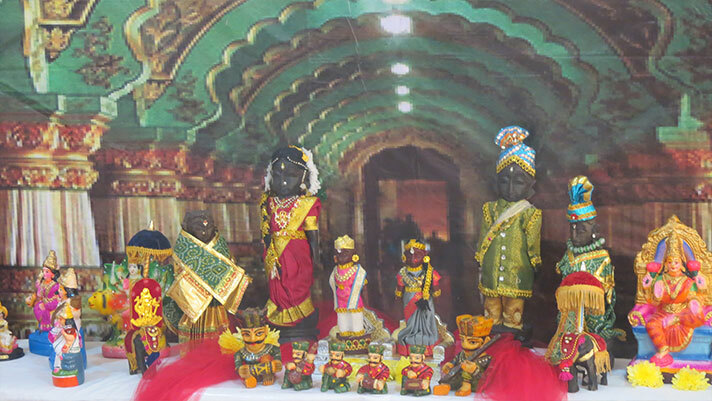 The dolls were arranged and exhibited tastefully on a stepped platform, decked with flowers, buntings and colourful lights. 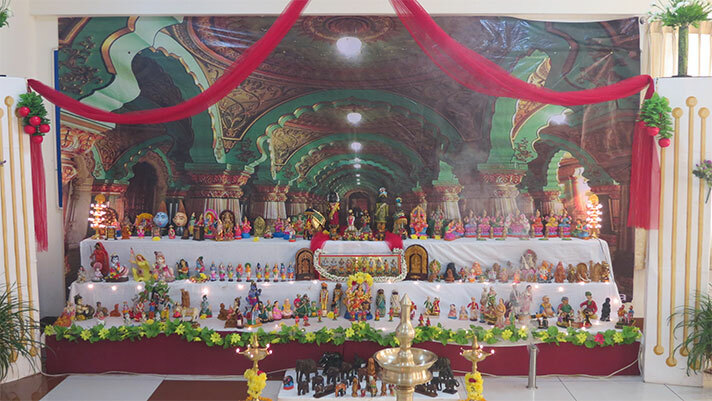 They comprised images of Gods along with miniature dolls of birds, animals, fruits and people. 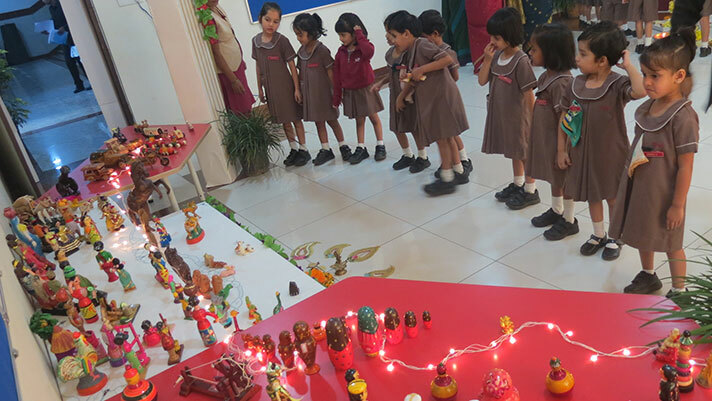 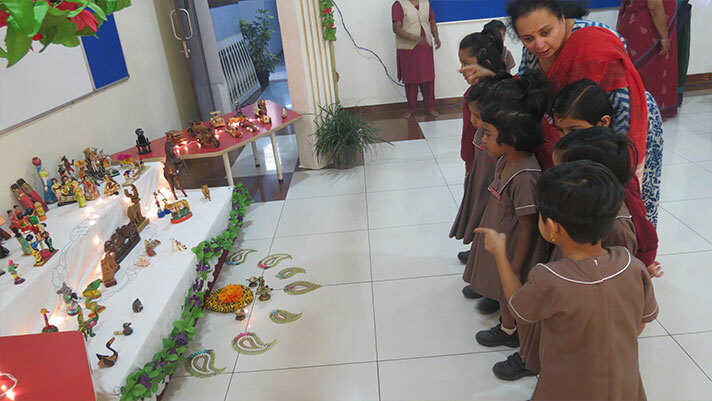 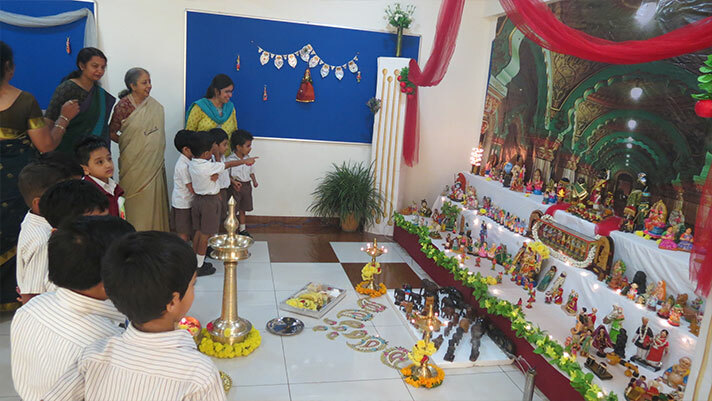 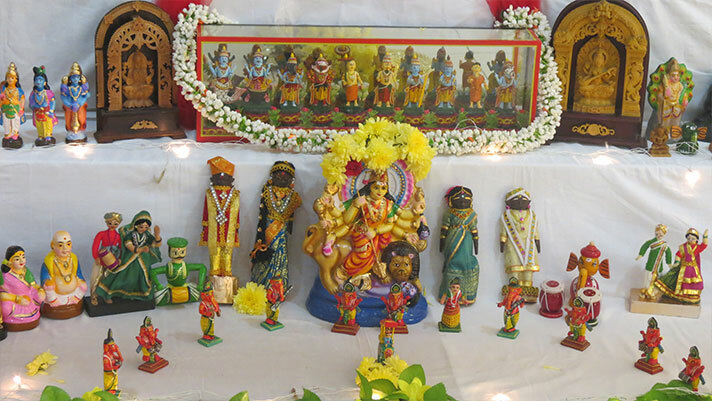 All students were taken on a spectacular Golu Doll trail that taught them about Indian Culture.